Philadelphia-based design firm Roar + Rabbit has worked with West Elm on their very first home collection, a collaboration with over 200 products including textiles, wall art, and furniture. Since it first popped up on WestElm.com, we’ve had this retro-inspired swivel chair on our wish list. It makes for a beautiful addition to any space—from your living room to your desk. In the past three years, Wurtzburger has started her own consulting firm, working with clients that include Modcloth; co-founded Roar + Rabbit, a design firm with a home collection at West Elm; and has become the Co-Owner of luxury knitwear brand, UNTIL SOON. "Filled with curvy silhouettes, wooden surfaces with brass inlay details, pleated upholstery, and a pastel-forward palette, the series skews more feminine than the neutral, mid-century look that West Elm is typically known for, yet it feels more refreshing than out of place. " 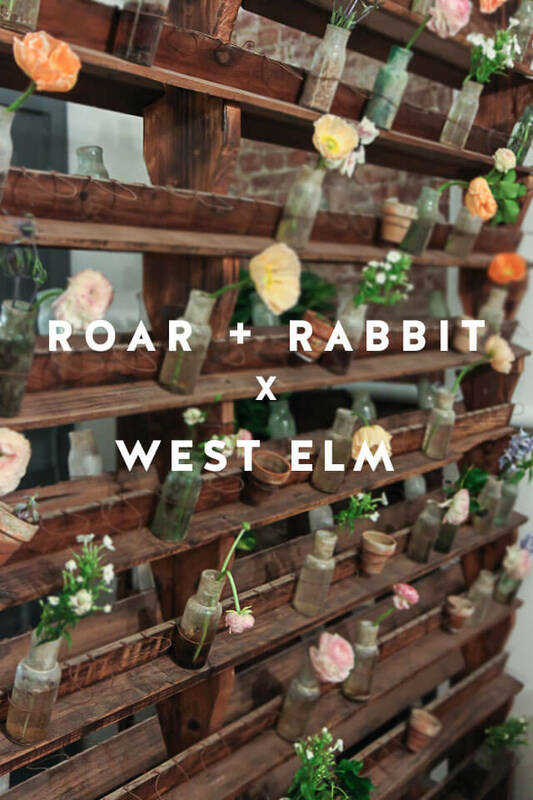 The Roar + Rabbit collection includes furniture, lighting, textiles, and decorative objects, West Elm's biggest collaboration to date. Thanks to their new partnership with West Elm, they're making their debut to the masses!